We’ve put together a (partial) list of upcoming summer wine and beer festivals and expos that are sure to appeal to home winemakers, beer brewers, and enthusiasts. With events all over the United States and Canada, you should be able to find an event to enjoy! Please note, while we’ve done our best to ensure the accuracy of this list, events, dates, prices and venues are subject to change or cancellation. Please check the event’s website to confirm all details before you go. Do you have an event you’d like us to add to this list? Let us know in the comments, or send us an email to CustomerService@NoontimeLabels.com. Be sure to include a link to the website or online announcement. Thanks! We were happy sponsors of the WineMaker Magazine Home Winemaking Conference again this year. The 2018 conference was held May 17 to 20 in San Diego, CA. As you may remember, we now live on the West Coast. San Diego is practically our back yard, and we spend a lot of time in the area and have met a lot of home winemakers. It was especially enjoyable not to have to travel far. Homewinemakers, it’s a good time to order custom wine labels for your naked bottles. Now through Monday, May 7, 2018, save 10% off of any of our personalized labels ordered online. Click here to visit our Label Gallery to order today! One of the most common questions I get is about how to design professional looking wine labels. It doesn’t matter whether you are a home winemaker or a commercial winery — you want your label to look good and to enhance your bottle. And I believe all wine deserves a high quality label! So, to help with that, I’m sharing some tips on how to design a label fit for your finest bottle of wine. That way you can have professional looking wine labels on your bottles, without spending a fortune. 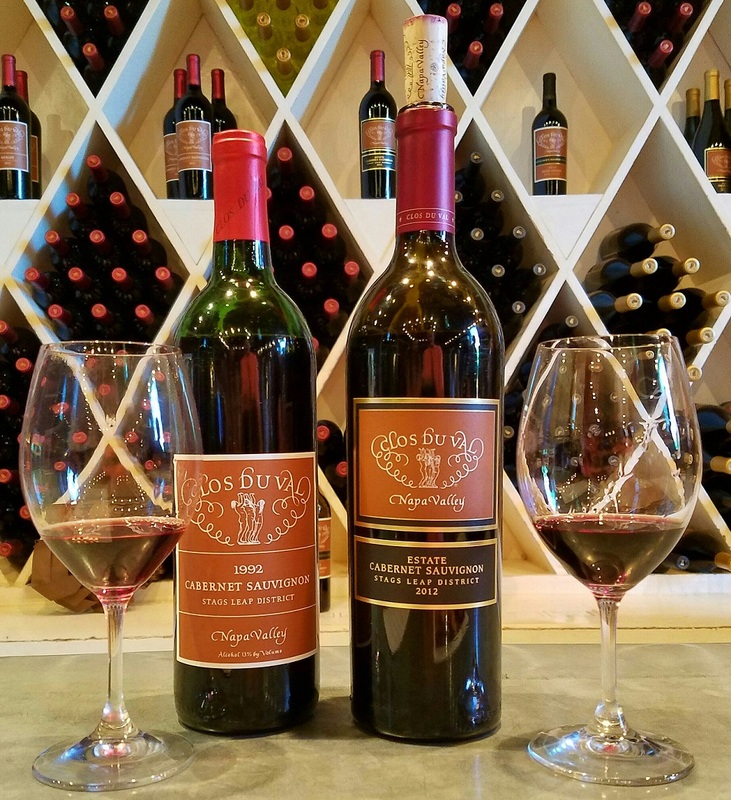 This post will focus on how to use color like a pro in your wine label designs. We have a lot of information on our website about making personalized custom wine labels, and here is a small list of some of the information we’ve made available to our customers. Home winemakers use personalized wine bottles for gifts, and sharing with friends and family. 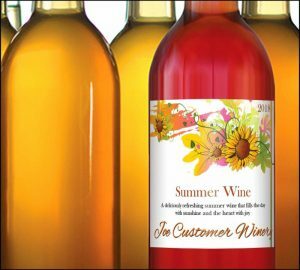 Personalized wine bottle labels can make all your home made wine, mead, cider, and beer look their best. Custom wine bottle labels give your wines their true identity, and give them personality. Custom wedding wine labels are a great way to add a unique and elegant touch to your wedding day. Custom wine label design is available, and we have three graphic design packages to choose from. We can create artwork if needed, and provide you with concepts to choose from. We offer many different label options, including removable. These wine labels come right off your bottles with no need to soak in water or use messy solvents. We have one thing on our mind when we travel: where’s the wine? Okay, maybe our trips are about more than that. But we do look around to see what’s happening with wine wherever we are. 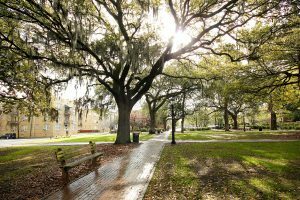 So it’s little surprise that we were tasting wine and mead in Savannah, GA.
Have you ever been to Savannah? If you have, you’ve probably explored the historic River Street. The Savannah Bee Company has a store right there along the river. It’s a lovely place to stop in and take a break from the humidity, as well as try some of their honey products. And one of their premier products is mead! 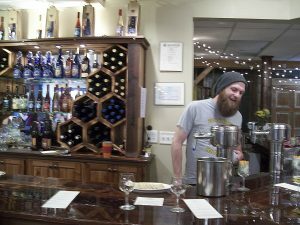 We had a lovely time tasting wine and mead, as well as the other honey available in the store. It’s a nice break from your shopping or as an after-meal treat. And the employees were very enthusiastic about bees, honey, mead, and other bee products. It’s no wonder bees do well in Savannah. There were flowers, trees and shrubs everywhere, as well as ideal weather. As a result, the bees have plenty of food to choose from! It’s great that someone decided to make mead from the local honey. 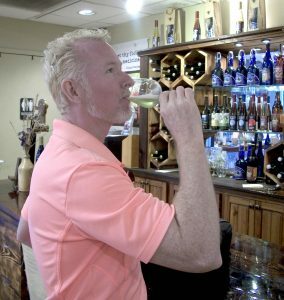 As more people discover the wonders of mead, there’ll be more action to help preserve bee habitats. The next time you’re in Savannah, be sure to go to the Savannah Bee Company. 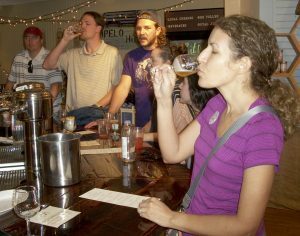 Enjoy tasting wine and mead as you wander the historic city. We’re so excited to announce that Noontime Labels now offers custom printed roll labels! You can order your wine labels with the same beautiful designs, or your own artwork, now on handy printed rolls. If you use a roll applicator to apply labels to your homemade wines, you’re going to want these. Custom printed roll labels are also perfect for small wineries or custom vintages. 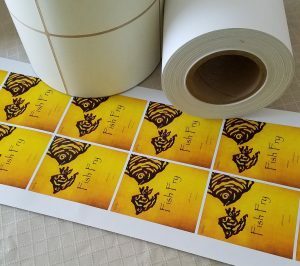 Whether you need 100 labels or 10,000, we can print any quantity for you. We always enjoy our trips to the WineMaker Magazine Conference. 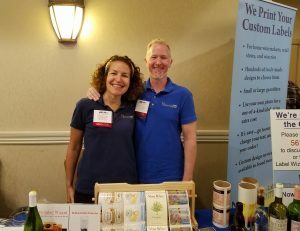 This year, with the home winemaking conference in Santa Rosa, CA, we were excited to have a chance to explore more of California’s wine country. It was our first trip to the area. (Can you believe it?) We took a few extra days and spent some time in Napa, Suisun Valley, Lodi, and Sonoma. Of course, it wasn’t long enough to fully enjoy the area, but we did our best! Wine Label Sizes – Which Label is Best for Your Wine Bottles?